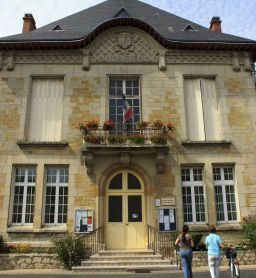 The Memorial Room of World War I has been established at the first floor of the Village Hall of Sommepy-Tahure, with the assistance of U.S. funds "Sommepy Fund". Many original documents and objects are exposed. Open on Tuesdays from 11am to 12 pm and from 4pm to 5pm, on Wednesdays, Thursdays and Fridays from 11am to 12pm. This room is open during official ceremonies. To visit the room, please contact the Village Hall. There is no review about Sommepy-Tahure Memorial Room Of World War I, be the first to leave one !